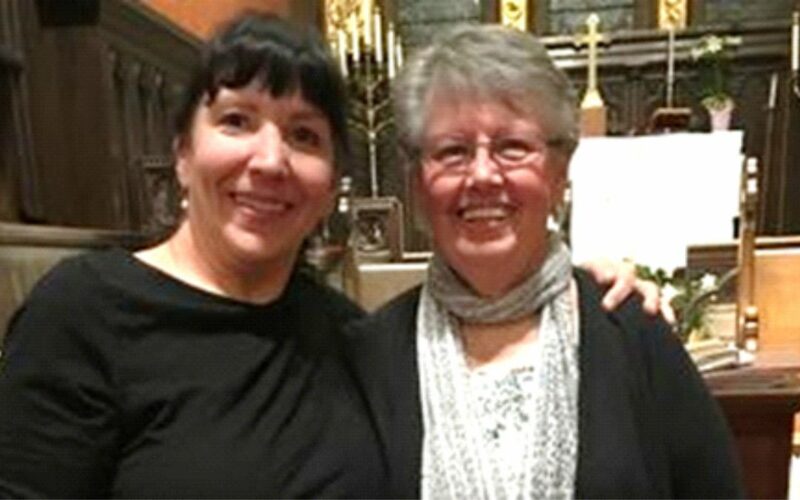 On April 5th and 6th, over 300 people attended the Joan Chittister Play at St. Michael’s Recital Hall and at Trinity Episcopal Church in Shelburne. Teri Bays proclaimed the message of Justice, Peace and Equality, especially for women, loudly and clearly. The Winooski Peace Initiative, with the support of many community partners, sponsored the play. Winooski is the most diverse community in Vermont in terms of income, country of origin, language, age, religion and gender. The Winooski Peace Initiative brings residents together, face to face, in ways that lift up common values, encouraging people to reach out—even if just a little—to those seen as “others”. Our programs and projects help people move toward each other, rather than away. We believe it is easier to understand a person when you get close. We are working to increase Winooski’s sense of community and to foster peace. We will continue to build a strong, supportive community, so how will we do this? We need to listen to all the voices in our community and to the voices within ourselves. Together we will find ways of responding. Together we seek truth, justice and equality. Who are the people who help us to see life differently? We need all voices. What opportunities do we have to listen to one another? BURLINGTON, VT—The Rock Point Intentional Community (RPIC) hosted an Introductory Wisdom School on March 11-14 as an opportunity for individuals to experience the transforming power of contemplative prayer, chant, conscious work, sacred readings, and embodied prayer. More than 30 participants registered for the event—some hailing from nearby Burlington, others traveling from locations across the country—to hear from the Rev. Matthew Wright, retreat leader. Wright serves as priest-in-charge at St. Gregory’s Episcopal Church in Woodstock, NY and is a teacher for Northeast Wisdom, a non-profit organization rooted in the teaching lineage of Cynthia Bourgeault, an eminent voice in Christian contemplative and Wisdom teachings. More than 30 participants registered for the event—some hailing from nearby Burlington, others traveling from locations across the country. If you missed this Wisdom School, you will not want to miss the next one! 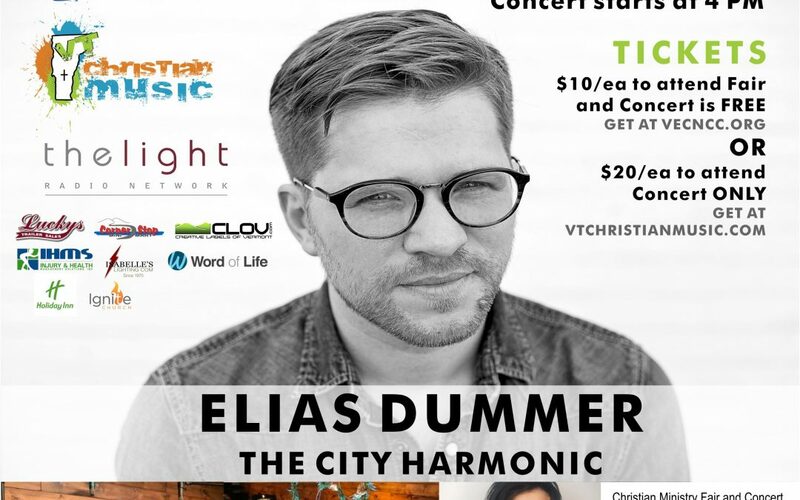 Information will be posted online at https://www.rockpointvt.org/rpic. Retreat participants Michael Hechmer and Mark Delach shared images and videos from the experience, which can be found online at: http://www.diovermont.org/post.php?p=9463. What’s New at Rock Point Camp 2018? #2 Day Camp & Overnight Camp All Summer Long! for additional charge of $25 per person, per night. Maximum upgrade fee per family: $300. Day option includes meals/program. Tier 1 — significantly discounted rate. Tier 2 — truer cost for a week of camp plus moderate subsidy. Tier 3 — most accurately represents cost for a week of camp. Choose the tier that is right for you. This is an opportunity for you to support, as you are able, the true cost of operating camp. Financial assistance is available for those who request it. Join old and new friends as you immerse yourself in all Rock Point has to offer! 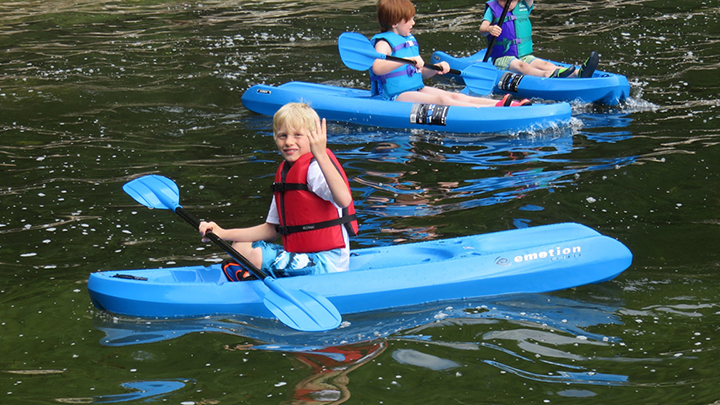 Choose from a variety of staff-led activities: canoeing; archery; outdoor pizza oven lunch; sacred circles; sunset from the Point; lakeside campfires, singing, and s’mores at Eagle Bay…and more! Daily schedule is optional with freedom to enjoy your own time with a good book at Fred’s Beach or explore Burlington and beyond. Activities specially designed for kids, families, and adults. Stay overnight in cabins for listed fee or upgrade to a conference center bunkroom for additional charge of $25 per person, per night. Maximum upgrade fee per family: $300. Day option includes meals/program. 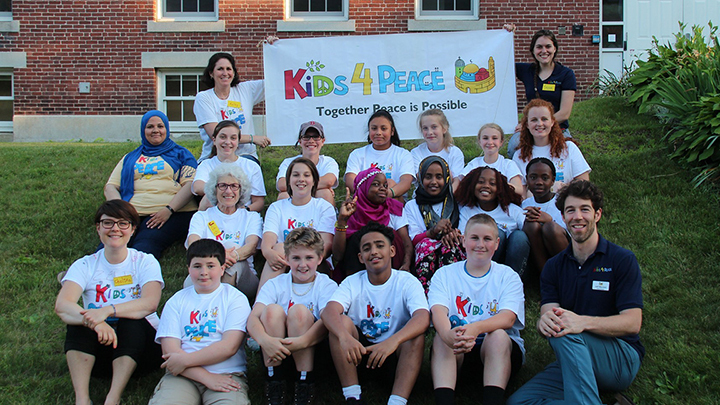 Registration is now open for the Kids4Peace Vermont and New Hampshire Interfaith Camp, which will be held June 24-July 1 in Plymouth, NH. Sixth and seventh grade students (2017-18 school year) with a passion for interfaith understanding and social change are encouraged to apply. Details and application can be found at http://www.k4p.org/summer2018. Click here to download the printable flier and brochure. 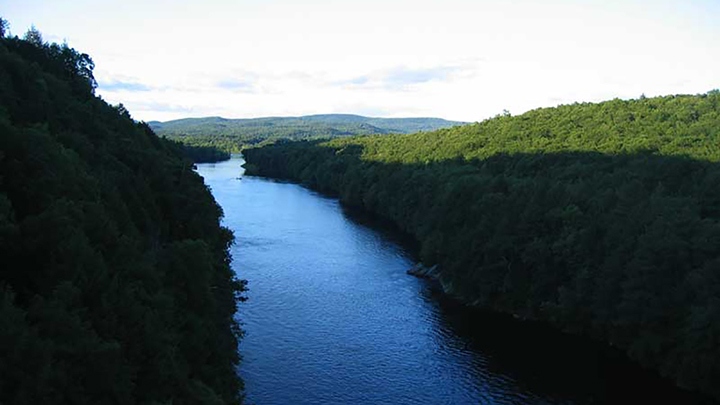 Building on last year’s 40-day pilgrimage down the Connecticut River, interest is growing and Kairos Earth is providing new opportunities for people to experience this wonderful immersion in the practice and spirituality of living in right relationship with the natural world. Below is a listing of these opportunities in 2018, along with a link to get more information and to apply to attend. There are also two Earth Credo sessions being offered. Earth Credo is a five-day immersion in the practice and spirituality of living in right relationship with the natural world. Rooted in the Christian tradition of care for the earth, participants learn contemplative disciplines that support intimacy with God through Creation. The group is simultaneously immersed directly in the land, and learn practical outdoor skills needed to be comfortable interacting more closely with nature. Evening discussions center on the interdependency of intimacy with God and care of the land, spiritually grounded environmental stewardship, ecological justice, and the building of sustainable culture. Earth Credo is designed to train and empower participants to offer Christian eco-spirituality workshops, classes, and leadership perspectives within their local church and community. All around the globe, people took a moment to recognize Earth Day, the world’s largest environmental movement, on April 22. 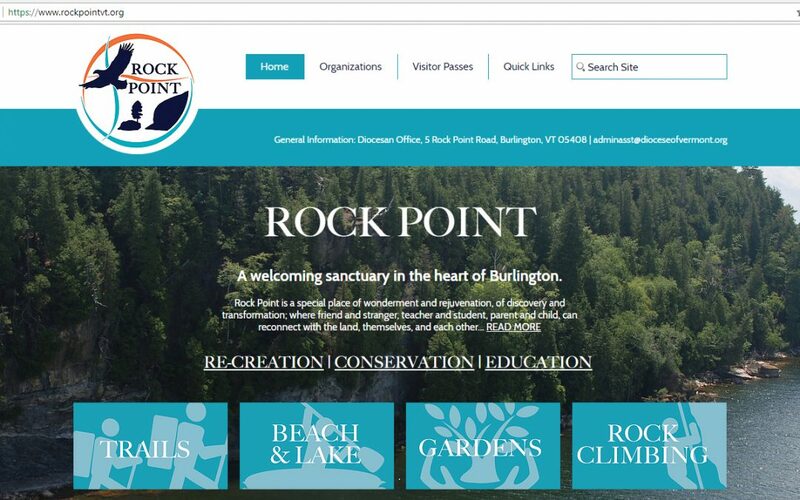 Rock Point took part by launching a new website focused on one place on earth that holds special meaning for the people of the Episcopal Church in Vermont as well as the many partners, friends, students, campers, and visitors who have experienced its beauty. The new website can be found at https://rockpointvt.org. 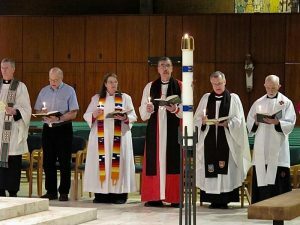 In the beauty of the Catholic Center Chapel on the University of Vermont campus, the Holy Spirit of Christian ecumenism blessed the space, as leaders of the Christian ecumenical movement in Vermont and the VECNCC gathered in prayer and song. A true spirit of ecumenism and deep care was palpable among those guiding our gathering, Roman Catholic Bishop Christopher Coyne, Episcopal Bishop Thomas Ely, Rev. 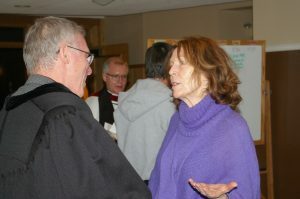 Brigid Farrell, New England Conference of the United Methodist Church, Rev. Roy V. Hill II, Emeriti President of the Vermont Ecumenical Council, New Alpha Missionary Baptist Church, Rev. 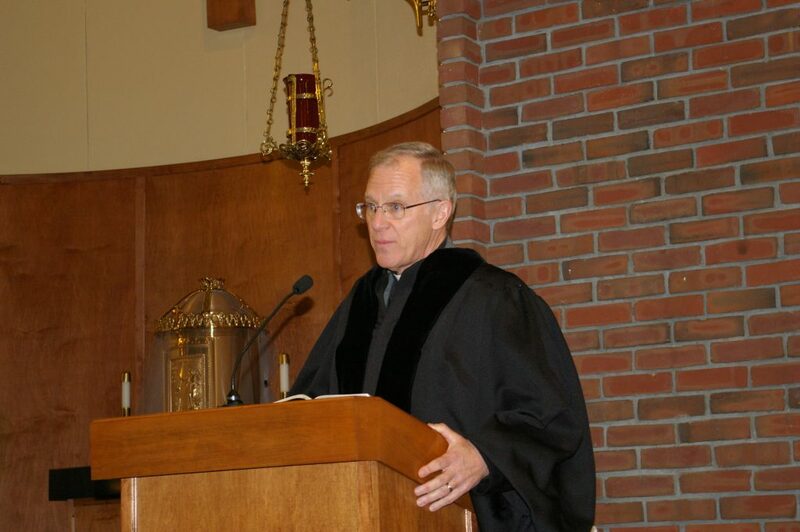 Dr. Fred Moser, Trinity Episcopal Church, Rev. Brian Cummings, Society of Saint Edmund as well as many other clergy and representatives from the Vermont Ecumenical Council. Rev. Dr. John Armstrong, president and founder of the ACT3 Network did just that with his enthusiastic and fiery sermon that resounded through the hearts and minds of all present. No stranger to the costly love of letting go of paradigms to engage new possibility for evangelization, healing and renewal within Christianity, he offered stories of wisdom gained from twenty years of active ecumenical leadership. Rev. Armstrong challenged and encouraged a spirit of charity, clarity and love to inform, heal and transform Christian community. Called to a moment of personal prayer in the Chapel, after attending the fine reception hosted by the Roman Catholic chaplaincy at UVM, the ecumenical Protestant chaplaincy at UVM and the Cooperative Christian Ministries, offered space to contemplate the spirituality of Christian ecumenism. Foundationally, all human relationship is an opportunity to encounter the other with hospitality and kindness. As Christians, we’re invited to live with open hearts and open minds as we walk in imitation of Christ seeking to embody authentic Christian spirituality in service to each other, regardless of our denominational or faith affiliations. Relationship and shared prayer are central in cultivating understanding as well as hearing and healing our stories. As people of faith, when we come to know each other, we can learn to deeply and respectfully love one another in our journey to embody the blessings that the teaching of Christ offers to all for this and future generations. Martin Luther, the German Augustinian monk and Christian theologians strong words “Here I stand, I can do no other God help me” introduce the Christian History Institute’s documentary This Changed Everything. Over twenty faith leaders and experts are interviewed throughout the three-part series to answer challenging questions about the 500 year old schism within Christianity sparked by Martin Luther in Germany, Huldrych Zwingl a leader of the Christian reformation in Switzerland, John Calvin, pastor and theologian in Geneva and others who called for reform within the Catholic Church including King Henry of England who rejected Papal authority and named himself head of the Church of England. 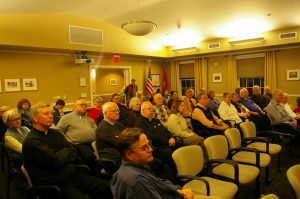 The historical documentary provided the context for the insightful and engaged presentations by University of Vermont Associate Professor of English Dr. Jennifer Sisk, St. Michael’s College Professor of Religious Studies, Dr. James Byrne, The Rev. Arnold Thomas, Vermont Conference of the United Church of Christ and Pastor of Good Shepard Church and Rev. Nancy Wright, Pastor, Ascension Lutheran Church, So. 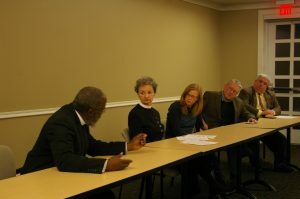 Burlington facilitated by Professor Dr. Raymond Patterson, St. Michael’s College Religious Studies Department Chairperson. Through diverse academic and religious perspectives presenters provided their unique contribution and inspirations to the forum. The entire forum is available to view on our website. The invitation to reflect on the panel event has perhaps generated more questions than answers, which is a healthy thing. God meets us in our questions and our response to the questions form, inform and shape our spiritual and faith journeys as well as the way we encounter and engage with each other as Christians and people of faith in a contemporary world. In the spirit of Christian ecumenism, you’re invited view the documentary and then bring together your own facilitated forum for discussion within your community. The VECNCC has purchased a copy of the documentary for viewing and engaging a broader conversation about the Christian schism and how we can work towards healing through Christian collaboration. Our collective voices of Christian wisdom resounded through the many gatherings of clergy and faith leaders through the state during the week of Christian Unity. Through engaged conversations over luncheons and dinners, inspiring offerings at events, and in our concluding gathering and time of prayer on the shores of Lake Champlain. Along with the Christians of many Churches and ecclesial Communities, may we remember each other in prayer each day with these words first prayed at the Seventh General Assembly of the World Council of churches at Canberra in 1991. “Come Holy Spirit! Giver of life – Sustain your creation! Spirit of truth – Set us free! TESTIMONIAL FROM Dr. Jennifer Sisk Associate Professor of Literature and Religion at UVM. John Armstrong was a guest speaker in an upper-level English course I teach at the University of Vermont on medieval literature. The class was reading William Langland’s fourteenth-century dream-vision poem, Piers Plowman-a text that to today’s college students may seem to emerge from long ago and far away, though as Armstrong reminded them, it asks “modern” questions about the place of the church in the world and the spiritual unity of Christians within it. Written by a medieval Catholic poet, it urges a pre-Protestant-Reformation reform of the church, and for this reason it was later embraced as an authorizing text by both Catholic and Protestant readers. Armstrong’s visit helped set the poem within the long arc of Christian history, in which reform emerges as a common concern on both sides of the Reformation divide, remaining vital for Christians to this day. A dynamic and engaging speaker, Armstrong brought to life the poem’s contemporary relevance, and he helped my students see that Christian ecumenism responds to concerns about the church that have a very long history, which they can glimpse in Langland’s representation of the church as a woefully besieged “Barn of Unity.” Armstrong’s class visit, early in the semester, set the tone for the entire semester. Some of my students have even cited his lecture in the papers they have submitted! The Octave of Christian Unity was inaugurated in 1908 as a Christian movement in the United States that by 1993 grew to encompass all Christian communities nationally and internationally receiving sponsorship from the Commission on Faith and Order of the World Council of Churches and the Pontifical Council for Christian Unity. Paul Irénée Couturier (29 July 1881 – 24 March 1953) a French priest is considered by many to be the “father of spiritual ecumenism” and an initial promoter, along with members of the Anglican and Orthodox Christian communities, of the Week for Christian unity. This was the prayer of Christians of many Churches and ecclesial Communities at the Seventh General Assembly of the World Council of churches at Canberra (1991) invoking the Holy Spirit who sustains, liberates, transforms, sanctifies, reconciles and unites. The same intentions and invocations are often to be found in the hymns and prayers of the various Christian traditions, such as Veni Creator Spiritus (Come Creator Spirit) of the Latin tradition, the Vasilev Ourànie Paràklete (Heavenly Paraclete King) of the Byzantine tradition, as well as those form other Christian traditions of both East and West, each with its own specific characteristics. Retrieved from http://www.vatican.va/jubilee_2000/magazine/documents/ju_mag_01091997_p-49_en.html on March 10, 2018. Classics of Western Spirituality published by Paulist Press offers an extensive library of historical texts on Christian spirituality. Traditions of Christian Spirituality Edited by Philip Sheldrake, this series, published in cooperation with DLT, London, makes the riches of the Christian spiritual tradition available through key themes while presenting their relevance for the modern seeker. Reflection offered by Spiritual Director, Carol A. Fournier, LCMHC, NCC, member of the Executive Council of VECNCC, director and founder of the Silver Dove Institute. The public is also invited to an ecumenical forum with John Armstrong commemorating the 500th anniversary of the Reformation on Tuesday evening Jan. 23 at 7:00 p.m. at St. Michael’s College in the Pomerleau Alumni Center (1 Winooski Park (Rt. 15 and Lime Kiln Rd. ), Colchester, VT. The forum will feature a presentation by Dr. Armstrong about the recent film he helped produce about the Reformation, This Changed Everything, with responses and commentary by a panel of area Reformation scholars. The forum is free, and all are welcome. More information HERE. 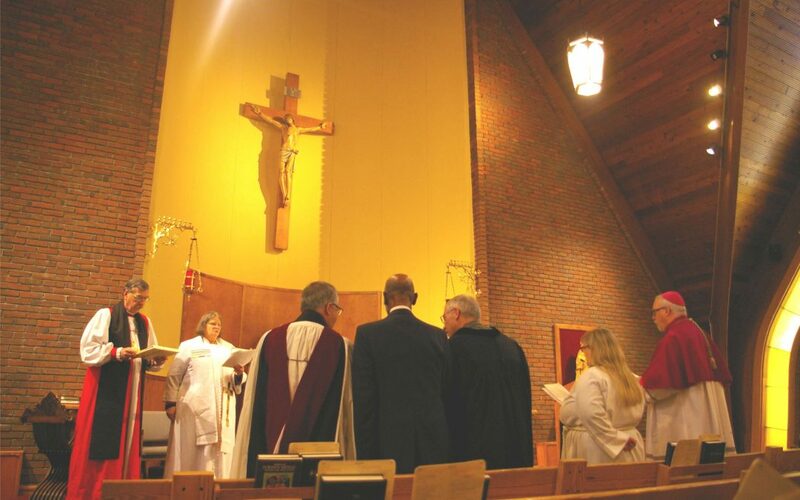 While he is in Vermont Dr. Armstrong will also participate in several ecumenical gatherings of area clergy and congregational leaders in both Burlington and Montpelier, to promote Christian unity and cooperation, and encourage cooperation with other faith communities. Dr. John H. Armstrong is an ordained minister of Word and Sacrament in the Reformed Church in America (RCA). He founded and became the first president of the ACT3 Network (Advancing the Christian Tradition in the Third Millennium) in 1991; see https://act3network.com. ACTS3 is currently in the process of becoming an intentional ecumenical community designed for the healing of the North American church. He is the author/editor of fourteen books, including his newest book, Costly Love: The Way to True Unity for All the Followers of Jesus (New City Press, 2017). He serves as senior advisor to the Christian History Institute and has helped to produce several documentaries on church history and renewal, including most recently This Changed Everything! in commemoration of the 500th anniversary of the Reformation; see https://www.thischangedeverything.com. 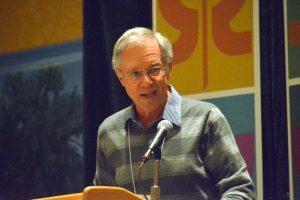 He was a keynote speaker at the 2017 National Workshop on Christian Unity in Minneapolis, MN in May 2017; see http://nwcu.org, and on Facebook “National Workshop on Christian Unity.” John is married to his wife Anita (1970) and has lived in suburban Chicago since 1969. He is the father of two adult married children and the grandfather of two girls and two boys. Cohort 2017 Promo from John Armstrong on Vimeo.